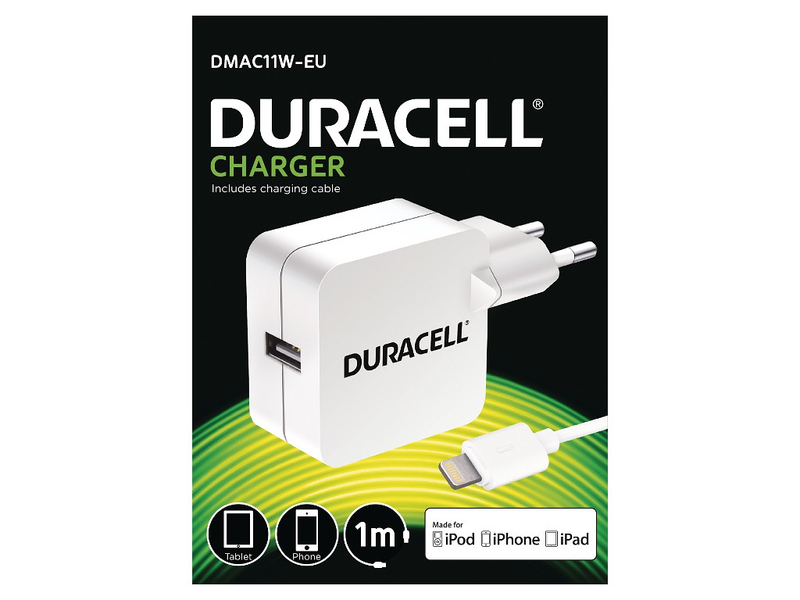 The Duracell range of Mobile Phone Power accessories provide superior quality performance in a superbly designed charger. As you would expect from such a trusted name as Duracell. | This charger is compatible with iPad 4, iPad Mini, iPhone 5, 5C, 5S, iPod Nano 7G, iPad Touch 5G.|||The Home Charger is finished in White and supplied with a Eu 2 pin plug.